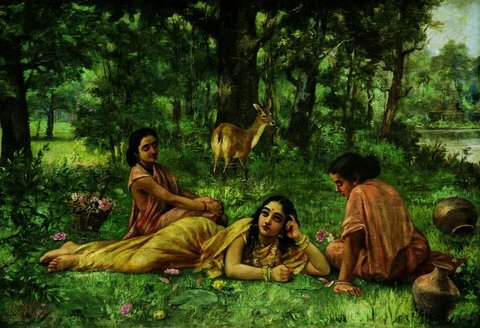 New York: A conversation about the nascent phase of westernized Indian art is incomplete without a mention of Raja Ravi Varma. The famed painter of the royal Gaekwad family of Baroda, he has many firsts to his credit. He was one of the first painters to use oil as a medium, creating magnificent portraits of the Indian royals in the western academic style. He started his career in the princely state of Travancore in southern India, where he was the court painter from 1857 to 1872. He went on to open the first printing press in India, a move that had a decisive impact on Indian art, beyond what would have been Varma’s understanding and intention at the time. Varma’s images gained immense currency among the Indian masses that in 1894 when his paintings traveled from Baroda to Bombay for a public appearance, lines upon lines of people filed through the halls for viewing. The public response to his paintings encouraged Varma to set up a printing press so as to generate images for public consumption. He imported a printing press from Germany to reproduce affordable lithographs of his illustrated paintings. Even though the press was an unsuccessful venture and he eventually sold it off, his initiative had a lasting impact. Fritz Schleicher, a German lithographer who bought his press, turned around its fortunes by using Varma’s mythical figures on advertisements, flyers and ultimately calendars. This episode had a monumental impact. 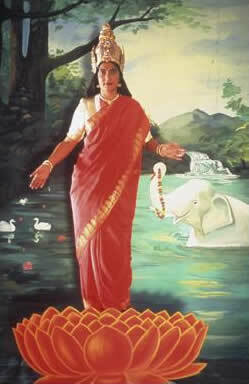 Varma’s imagery percolated the Indian household and mind. The popularity of the printing medium, mass production of goods and images and increased public consumption helped in the dissemination of the new Indian imagery. Other printing press that sprung around India and later comic books like Amar Chitra Katha started producing and emulating Varma’s imagery. 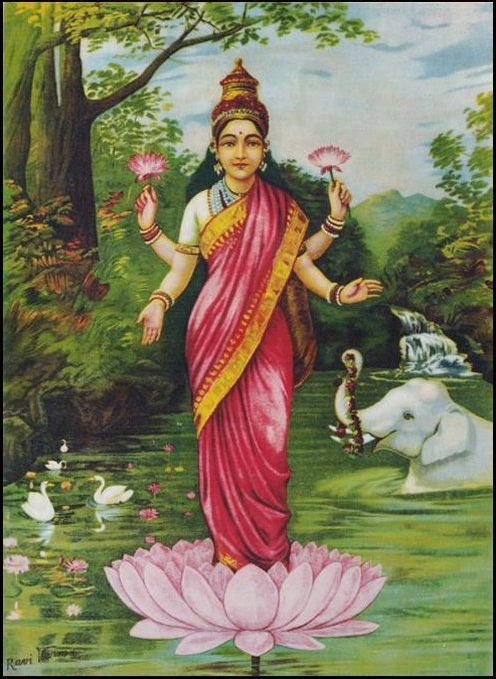 The printed image in India owes a significant debt to Varma’s creations and efforts. In turn, these images rendered on ink and paper, decisively impacted the illustrated arts in India. Even contemporary Indian artists continue to build on this tradition. They have gone on to adapt these early images and weave them into a new discourse- constantly re-imaging and re-imagining the role of the Indian hero and heroine. Chitra Ganesh and Pushpamala N are two such contemporary Indian artist whose practice clearly draws from Varma’s oeuvre. One thing is for certain, Varma’s legacy will continue to have a lasting impact on India’s artistic traditions in the years to come. Some will enjoy it in its original garb while others will re-create it for the contemporary audience- just as Varma had done over a century ago.